1ZK05EA Ноутбук HP 15-bw016ur (1ZK05EA) 15.6', FullHD (1920 х 1080), AMD A10-9620P, 8 ГБ, 1 ТБ, AMD Radeon 530, 2 ГБ, DVD±RW, Bluetooth, Wi-Fi, LAN (RJ-45), DOS, 4 cell, 2.1 кг, Black 12 мес. 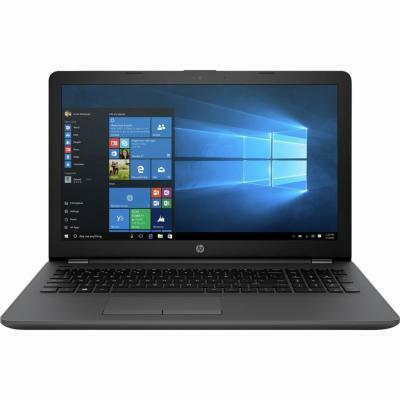 1ZK07EA Ноутбук HP 15-bw018ur (1ZK07EA) 15.6', FullHD (1920 х 1080), AMD A12-9720P, 8 ГБ, 1 ТБ, AMD Radeon 530, 2 ГБ, No ODD, Bluetooth, Wi-Fi, LAN (RJ-45), DOS, 4 cell, 2.1 кг, Black 12 мес. 1ZK09EA Ноутбук HP 15-bw020ur (1ZK09EA) 15.6', FullHD (1920 х 1080), AMD A12-9720P, 12 ГБ, 1 ТБ, AMD Radeon 530, 4 ГБ, DVD±RW, Bluetooth, Wi-Fi, LAN (RJ-45), DOS, 4 cell, 2.1 кг, Black 12 мес. 2HG33ES Ноутбук HP 255 G6 (2HG33ES) 15.6', FullHD (1920 х 1080), AMD A6-9220 (2.5 ГГц), 8 ГБ, 1 ТБ, AMD Radeon R4, No ODD, Bluetooth, Wi-Fi, LAN (RJ-45), DOS, 3 cell, 1.9 кг, Dark Silver 12 мес. 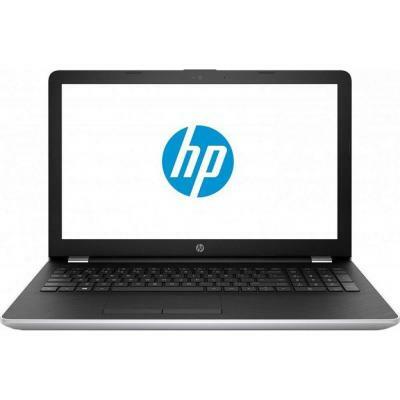 2HQ87EA Ноутбук HP 15-bw547ur (2HQ87EA) 15.6', HD (1366 х 768), SVA, AMD A9-9420, 4 ГБ, 500 ГБ, AMD Radeon 520, 2 ГБ, н.д., Bluetooth, Wi-Fi, Gigabit Ethernet, DOS, 4 cell, 2.1 кг, Black 12 мес. 2LD96EA Ноутбук HP 15-bw561ur (2LD96EA) 15.6', FullHD (1920 х 1080), AMD A9-9420, 8 ГБ, 1 ТБ, AMD Radeon 520M, 2 ГБ, No ODD, Bluetooth, Wi-Fi, LAN (RJ-45), DOS, 4 cell, 2.3 кг, Silver 12 мес. 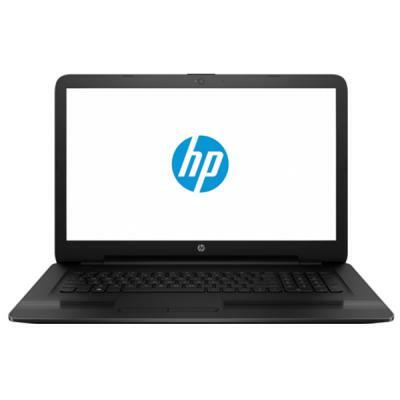 2LD98EA Ноутбук HP 15-bw563ur (2LD98EA) 15.6', FullHD (1920 х 1080), AMD A10-9620, 8 ГБ, 1 ТБ, AMD Radeon 520M, 2 ГБ, No ODD, Bluetooth, Wi-Fi, LAN (RJ-45), DOS, 4 cell, 2.3 кг, Silver 12 мес. 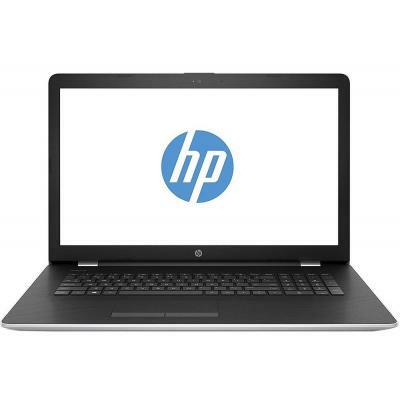 2LD99EA Ноутбук HP 15-bw564ur (2LD99EA) 15.6', FullHD (1920 х 1080), AMD A12-9720, 8 ГБ, 1 ТБ, AMD Radeon 530M, 4 ГБ, No ODD, Bluetooth, Wi-Fi, LAN (RJ-45), DOS, 4 cell, 2.3 кг, Silver 12 мес. 2UB88ES Ноутбук HP 255 G6 (2UB88ES) 15.6', FullHD (1920 х 1080), AMD A6-9220 (2.5 ГГц), 8 ГБ, 1 ТБ, AMD Radeon R4, DVD±RW, Bluetooth, Wi-Fi, Gigabit Ethernet, DOS, 3 cell, 1.86 кг, Silver 12 мес. 2WH12EA Ноутбук HP 15-bw635ur (2WH12EA) 15.6', HD (1366 х 768), SVA, AMD A10-9620P, 8 ГБ, 1 ТБ, AMD Radeon 530, 2 ГБ, н.д., Bluetooth, Wi-Fi, Gigabit Ethernet, Windows 10 Home, 4 cell, 2.1 кг, Grey 12 мес. 2WH81EA Ноутбук HP 15-bw637ur (2WH81EA) 15.6', FullHD (1920 х 1080), AMD A6-9220 (2.5 ГГц), 4 ГБ, 500 ГБ, UMA, No ODD, Bluetooth, Wi-Fi, LAN (RJ-45), DOS, 4 cell, 2.1 кг, Black 12 мес. 2WH82EA Ноутбук HP 15-bw638ur (2WH82EA) 15.6', FullHD (1920 х 1080), AMD A6-9220 (2.5 ГГц), 4 ГБ, 500 ГБ, AMD Radeon 520, 2 ГБ, No ODD, Bluetooth, Wi-Fi, LAN (RJ-45), DOS, 4 cell, 2.1 кг, Black 12 мес. 3DP11ES Ноутбук HP 255 G6 (3DP11ES) 15.6', FullHD (1920 х 1080), AMD A6-9220 (2.5 ГГц), 8 ГБ, отсутствует, 128 ГБ, AMD Radeon R4, No ODD, Bluetooth, Wi-Fi, LAN (RJ-45), DOS, 1.86 кг, Dark Ash Silver 12 мес. 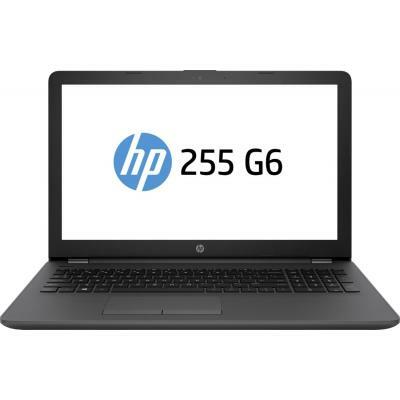 HP 255 G1 Grey (F0X79ES) 15.6" HD LED/AMD E1-1500/4GB/500GB/HD 7310/DVD SM/Wi-Fi/BT/WCam/Linux/2.45kg 12 мес. 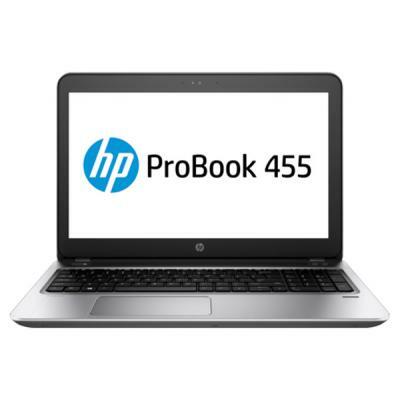 HP ProBook 455 Grey (F0X95ES) 15.6" HD LED/AMD A4-4300M/4GB/500GB/HD 8750M/DVD SM/Wi-Fi/BT/WCam/Linux/2.29kg 12 мес. 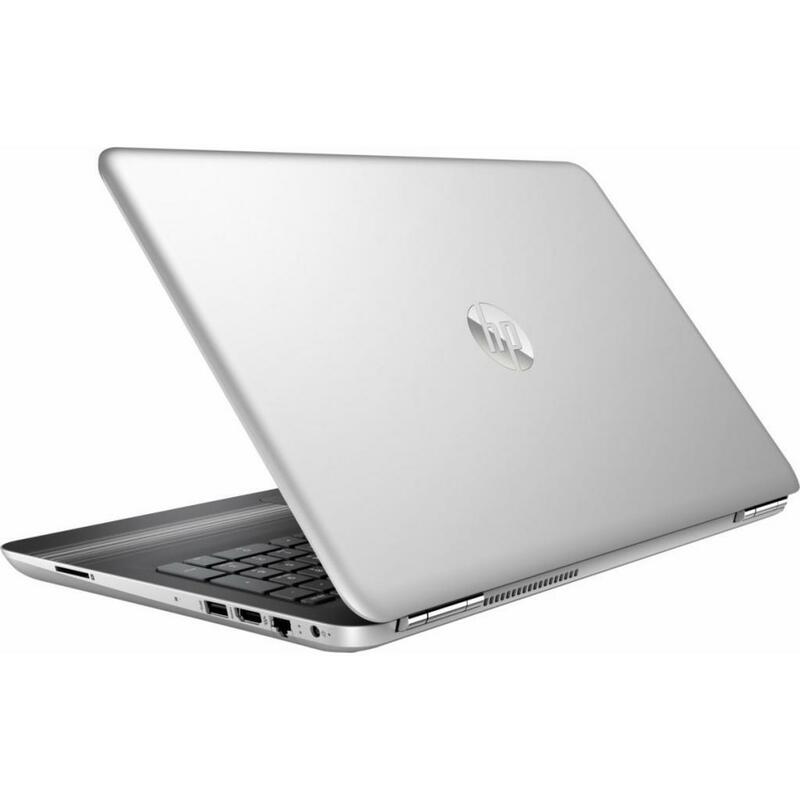 W7S56EA Ноутбук HP Pavilion 15-aw001ur (W7S56EA) 15.6', FullHD (1920 х 1080), AMD A6-9210 (2.4 - 2.8 ГГц), 4 ГБ, 1 ТБ, AMD Radeon R4, DVD-SMulti, Bluetooth, Wi-Fi, LAN (RJ-45), Windows 10 Home 64bit, 2 cell, 2.0 кг, Silver 12 мес. X0M78EA Ноутбук HP 15-ba005ur (X0M78EA) 15.6', FullHD (1920 х 1080), AMD A8 7410 (2.2 ГГц), 6 ГБ, 1 ТБ, AMD Radeon R5 M430, 2 ГБ, No ODD, Bluetooth, Wi-Fi, LAN (RJ-45), Windows 10, 4 cell, 2.0 кг, Silver 12 мес. X5W41EA Ноутбук HP 15-ba064ur (X5W41EA) 15.6', FullHD (1920 х 1080), AMD A10-9600P (2.3 - 3.2 GHz), 8 ГБ, 1 ТБ, AMD Radeon R7 M440, 2 ГБ, DVD±RW, Bluetooth, Wi-Fi, LAN (RJ-45), Windows 10, 4 cell, 2.0 кг, Black 12 мес. 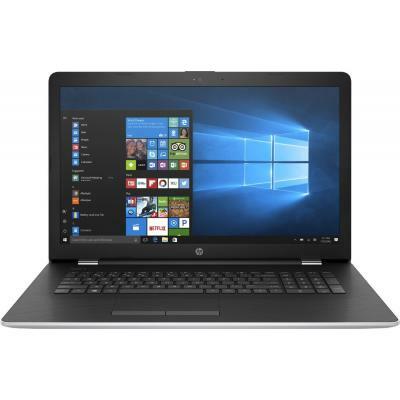 Y0V62EA Ноутбук HP 17-y037ur (Y0V62EA) 17.3', FullHD (1920 х 1080), AMD A10-9600P (2.3 - 3.2 GHz), 8 ГБ, 1 ТБ, AMD Radeon R5 M430, 2 ГБ, DVD±RW, Bluetooth, Wi-Fi, LAN (RJ-45), Windows 10, 4 cell, 2.65 кг, Black 12 мес. 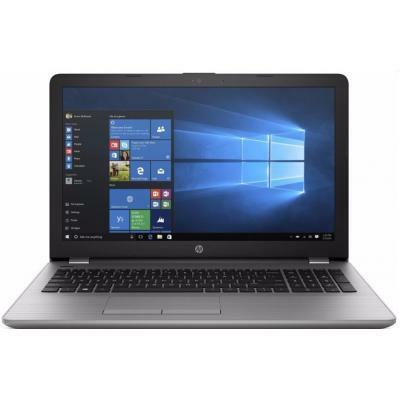 Y8A70EA Ноутбук HP ProBook 455 G4 (Y8A70EA) 15.6', FullHD (1920 х 1080), AMD A6-9210 (2.4 - 2.8 ГГц), 4 ГБ, отсутствует, 128 ГБ, AMD Radeon R4, DVD±RW, Bluetooth, Wi-Fi, LAN (RJ-45), DOS, 3 cell, 2.0 кг, Silver 12 мес.